McDonald’s has formed a council dedicated to helping the chain meet its chicken welfare and sustainability goals, the company announced Monday. The newly formed Chicken Sustainability Advisory Council is composed of a consortium of experts including key suppliers, experts in genetics, sustainability advisors like FAI Farms and university academics. The council will advise the Oak Brook, Ill.-based burger giant on how to reach a massive goal of sourcing chickens raised humanely, while also ensuring suppliers meet demand with sustainable practices. One of its commitments will be to “require chickens to be raised in housing environments that promote natural behaviors such as pecking, perching and dust-bathing on or before 2024,” the company said in a statement released Monday. Nicola Robinson, a veterinary surgeon and senior manager for global sustainability at McDonald’s Corp., said the creation of the council is a significant milestone in the company’s ongoing effort to create a sustainable food system for its 37,000 global restaurants. “As the world seeks to reconcile food production with the environmental limits of a finite planet, it is incumbent on all of us to ensure that production systems meet the welfare needs of food animal species, whilst protecting the ecological systems that sustain us all,” Robinson said in a statement. 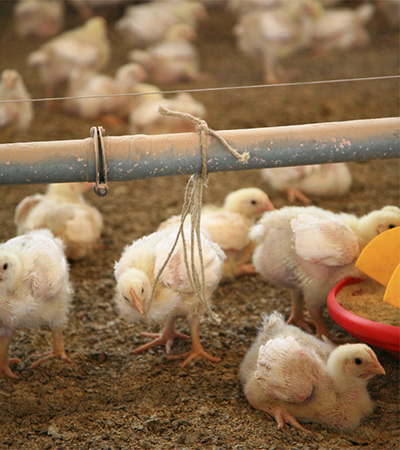 McDonald’s works with multiple chicken broiler suppliers such as Tyson Foods, Keystone and Cargill. Since 2016, U.S. McDonald’s restaurants have phased out sourcing chickens treated with antibiotics important to human medicine. Starting this year, McDonald’s will move to start globally eliminating chicken treated with antibiotics defined as high priority by the World Health Organization. The global goal for eliminating this supply is 2027. 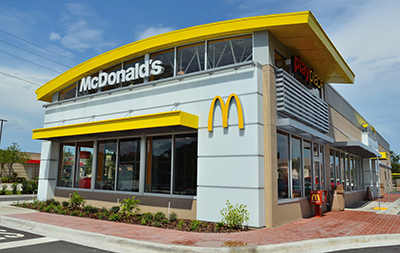 Tim Powell, a senior restaurant analyst at Q1 Consulting in Chicago, suggested another motive behind McDonald’s latest sustainability initiative. He said the chain is part of a growing number of quick-service brands “trying to become socially responsible” to grab the attention of the all-important Generation Z customer. Brands are also facing pressure from advocacy groups to meet animal welfare goals. According to a scorecard report released last fall by a group of animal advocacy organizations such as Consumers Union, nearly all the meat and poultry served at Panera Bread and Chipotle Mexican Grill are raised without any antibiotics. Brands scoring poorly on use of antibiotic-free meats included Sonic, Cracker Barrel, Olive Garden, Applebee’s, Domino’s Pizza, Chili’s, Little Caesars, Buffalo Wild Wings, Dairy Queen, Arby’s and IHOP. The chicken sustainability initiative is part of McDonald’s’ Scale for Good project, an effort to use the burger giant’s influence and massive unit size to combat global climate change. As part of that movement, McDonald’s this month announced an ambitious goal to cut greenhouse gas emissions 36 percent by 2030. In January, the company vowed to source all of its packaging products from renewable and recycled sources by 2025. The company also plans to phase out foam packaging by the end of the year.